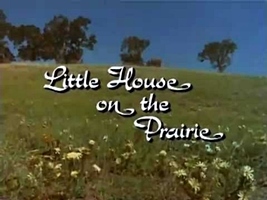 Loosely based on Laura Ingalls Wilder’s best-selling series of Little House books this television series follows the lives of the Ingalls family in the late 1800’s. 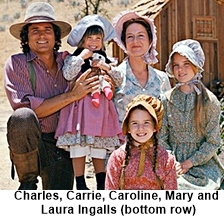 The patriarch was Charles Ingalls (Michael Landon) who ran the family with kindness and wisdom. His wife Caroline (Karen Grassle) was everything you would want a wife and mother to be. 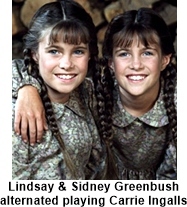 They had three girls, the eldest Mary (Melissa Sue Anderson), then Laura (Melissa Gilbert) and Carrie (Lindsay and Sidney Greenbush) being the youngest. Later in the series they adopt three more children Albert, Cassandra, and James. Their farm was located near the small town of Walnut Grove, Minnesota where Nels Oleson (Richard Bull) and his wife Harriet (Scottie MacGregor) ran the General Store. There two obnoxious children were Willie (Jonathan Gilbert) and Nellie (Alison Arngrim) with Nellie being voted the third brattiest kid on television ever! There was a town physician, Dr. Hiram Baker (Kevin Hagen) and the Preacher was Rev. Robert Alden (Dabbs Greer). Michael Landon was asked to direct the pilot for the series and he agreed only if he could also star in the show. He was just off of a huge success in Bonanza so they agreed and as it turned out it was a pretty good decision. The series went nine seasons and got excellent ratings. Landon continued to direct the series along with being executive producer. Oh and if he wasn’t busy enough he is credited with co-writing (48) of the episodes. Alison Arngrim originally auditioned for the role of Laura Ingalls, but did not land it. She then tried out for the role of Laura’s sister Mary, to the same avail. However, when auditioning for the role of “Nasty” Nellie Oleson, she was hired on the spot for playing mean so convincingly. Conversely, out of the many young girls who auditioned for the role of Laura Ingalls, Michael Landon was so convinced that Melissa Gilbert was the perfect candidate that Gilbert’s was the only screen test that he sent to the producers at NBC.